About Us > Being Franciscan > What Is A Friar? A Franciscan friar is a member of a religious order called the Order of Friars Minor* founded by St. Francis of Assisi over 800 years ago. Men, who take the vows of poverty, chastity, and obedience, seek to follow the manner of life that St. Francis led. Our order is a mendicant religious order of men who therefore depend directly on the charity of the people for their livelihood. *Oftentimes you will read OFM after a Friar’s name, wondering what it means. It refers to the Order of Friars Minor, commonly called the Franciscans. 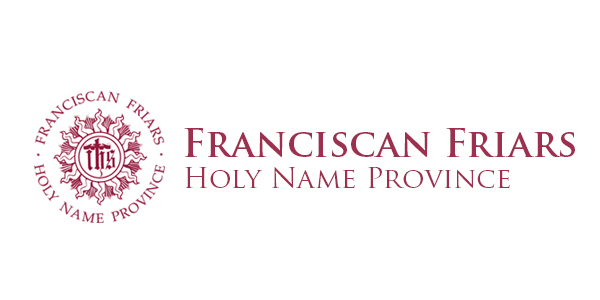 Our Friars are Members of “Holy Name Province.” What Is a Province? Where Do the Friars of the Province Serve? A Franciscan province is a geographic area of the country where the Friars of that province live and work. The Franciscan Order divides countries into provinces. Holy Name Province, where our Friars come from, is the largest of the seven provinces in the United States belonging to the Franciscan Order. It covers the eastern seaboard with some locations beyond. The Provincial headquarters are in New York City. We are also located in the following states: Massachusetts, Rhode Island, Connecticut, New York, New Jersey, Pennsylvania, Delaware, Maryland, Virginia, North Carolina, South Carolina, Georgia, Florida, Japan, and Peru. There are 325 Franciscan Friars in Holy Name Province serving people of God in a wide variety of settings – colleges, parishes, urban ministry centers, and diverse social ministries along the East Coast. Today, we continue the mission of St. Francis to make the Gospel message come alive in our contemporary world. We live in cities, suburbs, and rural areas. Our backgrounds are diverse and our ministries are varied; most of us serve in pastoral roles, while others work in education, social ministry, administration, and manual trades. What Is the Difference Between a Friar, a Brother, and a Priest? “Friar” is the English language version of “frater,” Latin for brother. All Franciscan men are Brothers by reason of the vows we take to live our life in community as a fraternity of men dedicated to following Christ in the manner of St. Francis. Within our own fraternal life, “Brother” is the moniker used. Recently, we elected a new Minister General, the leader of the fraternity worldwide. By regulation, the Minister General must be an ordained priest, yet the announcement of his election was “Br. Michael Perry, OFM Elected Minister General.” Our first vocation is to life as brothers. So… is it always proper to address a Franciscan as “Brother:” yes. As “Father,” yes, if they are ordained. Certainly that St. Francis of Assisi was our founder makes a big difference, but there are other differences too. Many religious orders have a very specific charism, e.g., the Jesuits are especially known for their work in education. The Camillians specialize in hospital work. The Sulpicians are dedicated to the seminary education of priests. Franciscans are different. We specialize in nothing in particular. Rather we are committed to living the Gospel in whatever form that takes. As a result, the Franciscan Friars have always been thought of as “of the people and with the people.” Living in community is a core value and often helps the Friars to put things in a more “down to earth” perspective. The Friars never see themselves as better than anyone, or as Francis wrote: “make yourself subject to all.” Consequently, friars are not usually judgmental and are very accepting of everyone, those who are in the faith community and those who are not. “All Are Welcome” is the usual core of Franciscan hospitality. And certainly the brown habit and cord help to differentiate us in many different ways. The core of Franciscanism is in the living out of the Gospel of Jesus Christ within the Church according to the rule of life proposed and observed by St. Francis of Assisi to preach this message to every creature. This is our purpose and mission. Our message is very simple: God loves each of us totally and unconditionally. Have other friars served at Sacred Heart? To see other friars that have spent time in ministry here at Sacred Heart, click here.